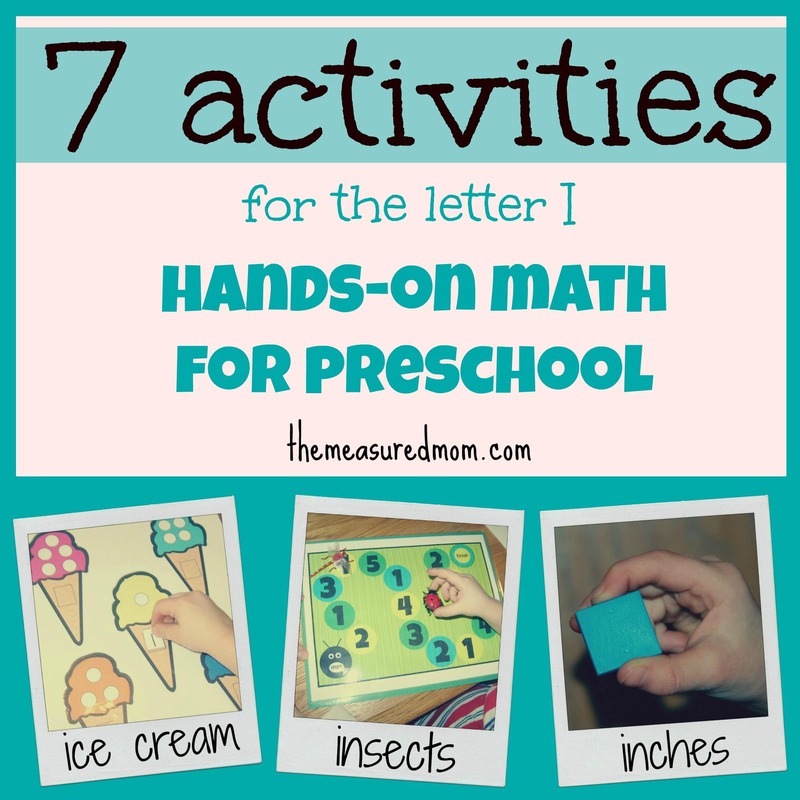 We’ve been doing a lot of hands-on math for preschool at home. Since we’re learning about the Letter I, we did math activities related to ice cream, insects, and inches! This was a simple file folder game to practice counting and labeling items up to 10. My Two just worked on the #1-5 page. He cannot count items past 3 correctly, but he had fun doing it with me. My Four breezed through it. So maybe this is an activity best done by a three-year-old. Which we don’t have right now. 🙂 You can view my original post here to get the printable. All my kids had fun with this simple board game. It was designed with my Two in mind, and it was just the right length for his attention span. He moved to spaces by drawing colored cards. Then he read the number that he landed on. I’ve also made a blank copy of the board so that you can program it with any numbers you want (or math facts for older kids!). Read more about it and get your copy of the game here. This was for my Four and Five to complete together. 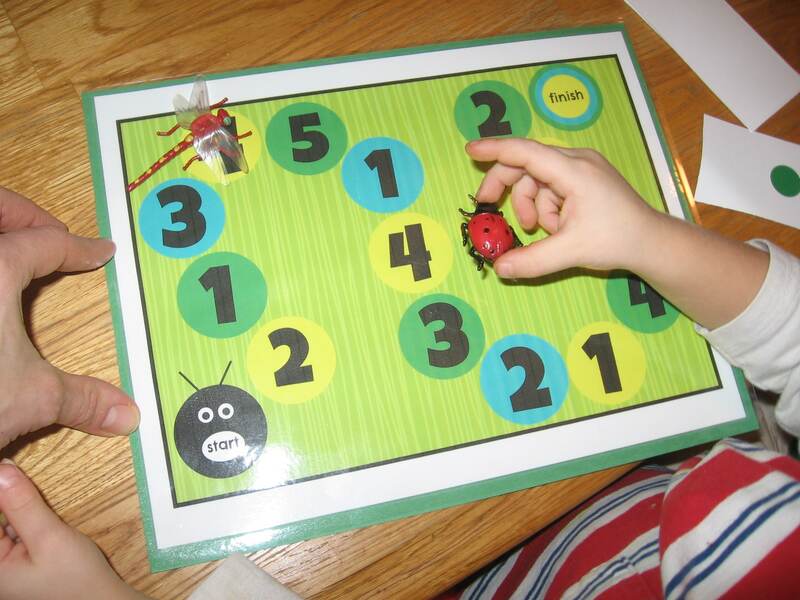 They counted plastic insects and wrote number sentences to show how many bugs were in and out of the jar. 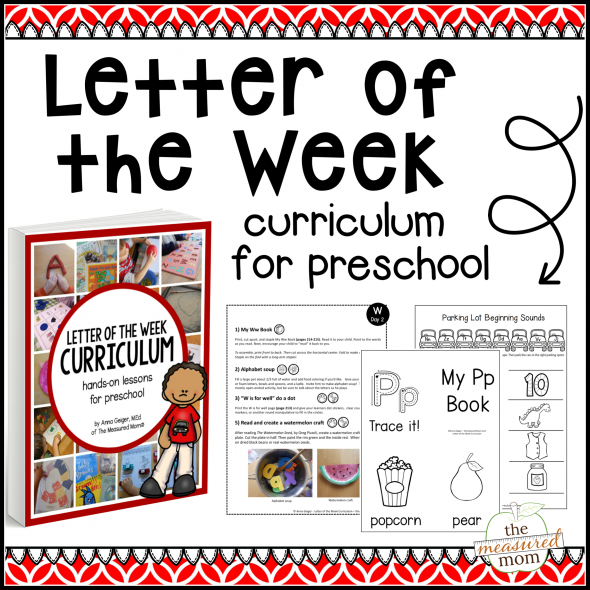 View my post and get a copy of the mat and worksheet here. This was fun and just right for my Two. I printed a set of bugs and their shadows for him to match. This was a also a great chance to talk about which bugs were insects and which were not. 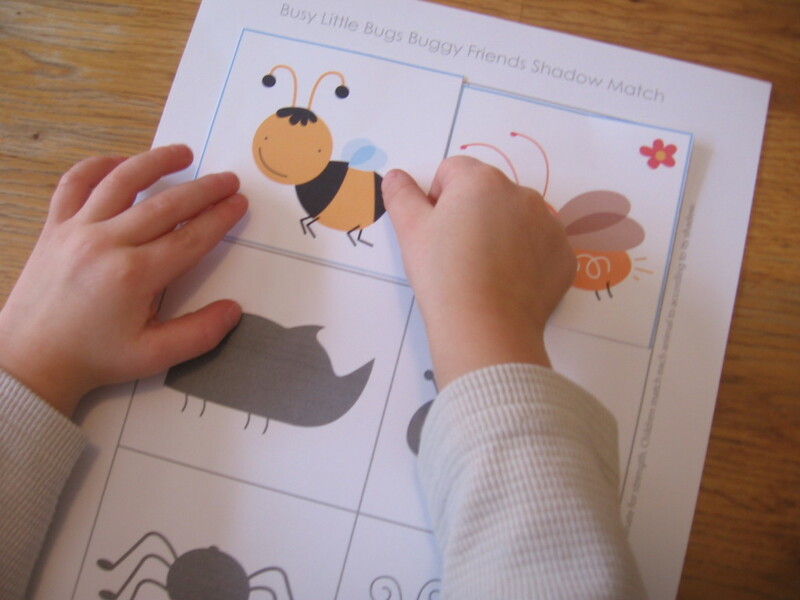 You can get this great printable from Busy Little Bugs. 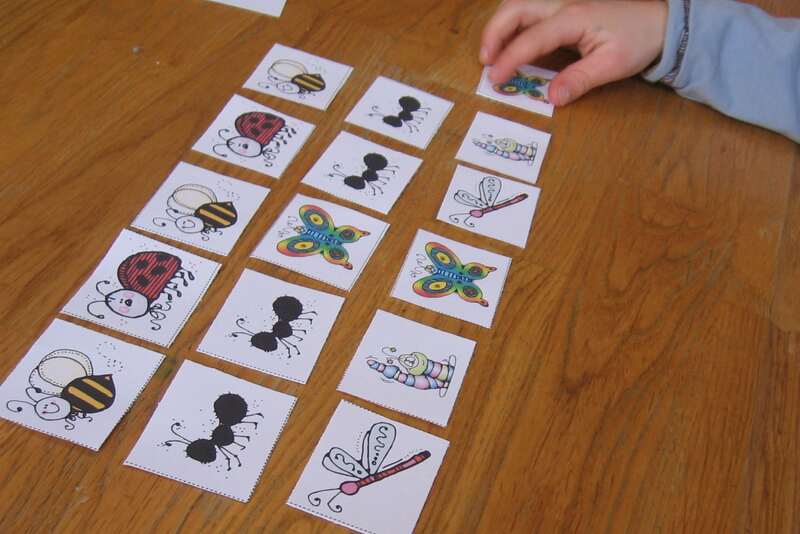 We printed lots of these insects to practice making patterns. I tried to help my Two make basic ABAB patterns, but he wasn’t getting it. So my Four worked on it instead and was surprised at how many patterns he could figure out and extend. 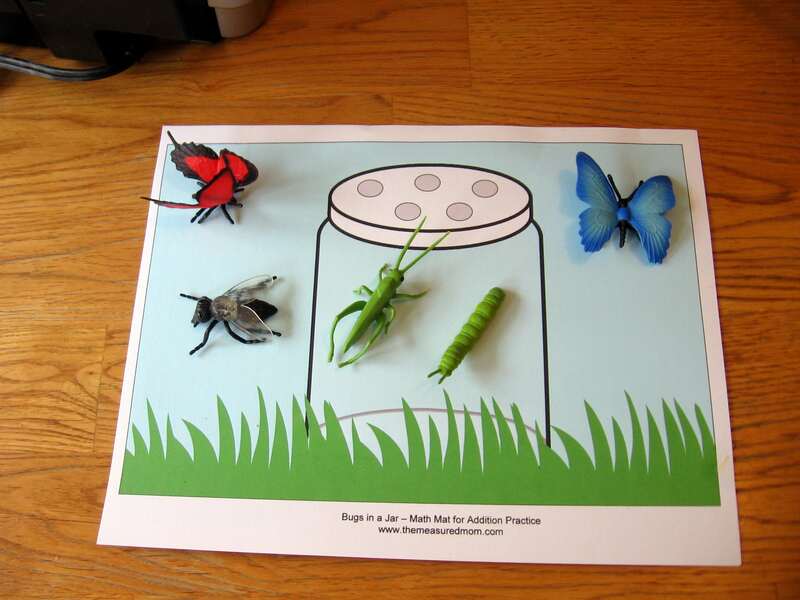 You can find these insects and a ton of other great bug ideas and printables from Oopsey Daisey. This was fun for us – my Four and Five went on a measurement hunt to find objects that were the same length, longer, or shorter than an inch. This really helped my Four with the concept of linear measurement. You can read more about what we did here. 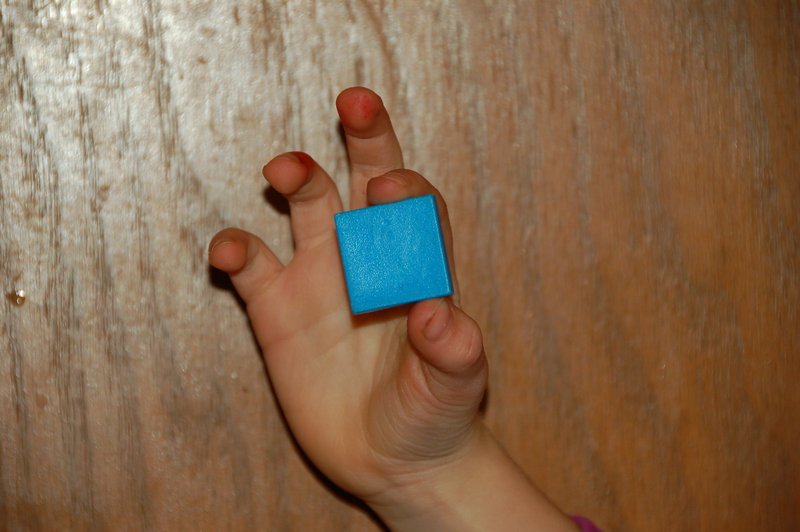 My Four opted out of this one, so it was a great opportunity to focus on basic counting with my Two. I gave him the three cones and he helped me identify the numbers. He knew the number “1.” For the other two he had to count the dots to get the number right. Together we put the ice cream cones in order. Then he was able to count and glue ice cream scoops to each cone. This was a nice visual for us to refer back to and gave him extra practice recognizing the numbers 1-3. 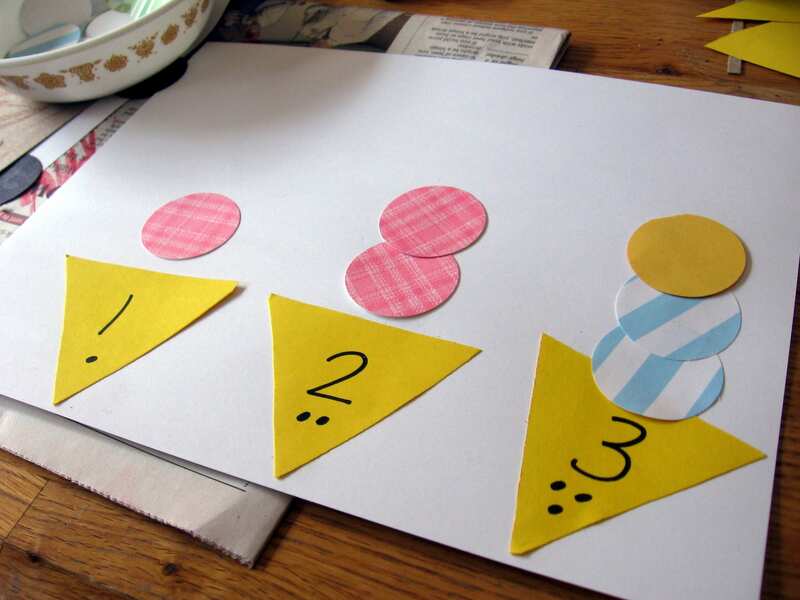 This idea is from Learn with Play at Home, where she describes it in detail and explains how to modify the activity for different age levels. So did you see anything you’d like to try? We’ve got lots more math ideas — just click on the image below! Yes you can sub soy sauce! The Liquid Amino’s just has a lower sodium content since there’s not additional sodium added. Thanks – we’ll have to try it sometime! Great ideas! Pinning to my Preschool Math board…thanks! Thanks, Jessica! I zipped over to Pinterest and am following this and a few other of your boards. Hello, Carol! I’m so glad you found things here that are helpful for you. It’s so exciting to hear when people around the world can use my ideas! Thank you so much for passing on my site. Blessings on your program!